Posted November 3rd, 2010 by David Firth & filed under IT Security. Description: Yahoo was under attack, the first of several in one week that would dramatically expose cyberspace’s dirty secret: though the Internet is an amazing creation that has boosted our economy and provided lots of cheeky Super Bowl ads, it is still a work in progress that can be knocked silly with surprising ease. Even the e-commerce giants are no sturdier than any others. All it takes is a well-directed “denial of service” attack to blow away the edifices, at least on a temporary basis. And when you try to track the culprit, it turns out that all you can find is a shield–the dummy computers through which the cyber vandal laundered his poisonous computer code. What defenses, if any, are there against cyber vandalism? Posted November 3rd, 2010 by David Firth & filed under IT Planning. Description: CIO.com article about common mistakes related to strategic planning by IT professionals. 1. Discuss the importance of IT-business alignment for CIOs. Posted November 3rd, 2010 by David Firth & filed under IT Governance, Video. Description: 7:36 minutes. YouTube video about the “governance,” or management, of information. Many companies govern “money, finances, risks.” This video presents argument about need for special, specific, different attention to the importance of controlling these assets; a context for what needs to be done. What is different about this direction of thinking versus the IT function as we know it? Posted November 3rd, 2010 by David Firth & filed under IT Governance. Description: Whitepaper from IT Governance Institute, providing a discussion of IT governance trends by a panel of experts. 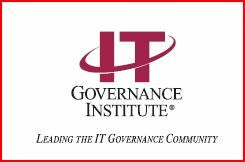 The IT Governance Institute (ITGI) was established in 1998 to advance international thinking and standards in directing and controlling an enterprise’s information technology. ITGI developed Control Objectives for Information and related Technology (COBIT), now in its fourth edition, and Val IT, and offers original research and case studies to assist enterprise leaders and boards of directors in their IT governance responsibilities. Identify challenges to leaders for IT governance models to be implemented. Posted November 3rd, 2010 by David Firth & filed under HRIS. Description: Link to Con-Way homepage to support Opening Case. Example of Human Resource Information Systems (HRIS). Describe how Con-Way uses HRIS. Posted November 3rd, 2010 by David Firth & filed under Grid Computing. Description: Considered one of the largest grid computing projects in the world, J.P. Morgan Chase Investment Bank’s pioneering effort to combine seven separate financial risk management systems to share computing power is on target to lower costs while increasing flexibility and service to internal customers. 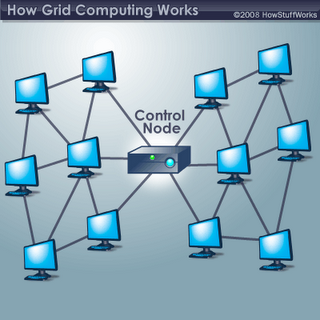 Grid computing provides communication among devices. 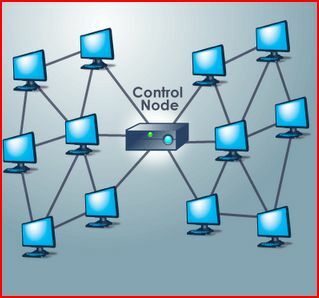 Coordinates use of large number of servers & storage, acting as one computer by sharing & coalescing the computing power. 1. What are some practical applications with grid computing? a. is designed to provide communication among devices. Posted November 3rd, 2010 by David Firth & filed under Green Technologies, Video, Virtualization. Description: Green computing is a mindset that asks how we can satisfy growing demand for network computing without putting undo stress on the environment. 1. Define & give examples of green computing. What is the value to business overall? Posted November 3rd, 2010 by David Firth & filed under Green Technologies, Video. Description: Video describing innovative approaches to making technology less harmful to the environment. 1. What are some of the benefits of green technology? 2. Examples can be appropriate disposal of obsolete equipment; technology that will not emit dangerous elements into the environment. 3. Efficient utilization by using power save features. a. Save energy, or comply with EPA requirements. Posted November 3rd, 2010 by David Firth & filed under Fraud, Video. Description: YouTube video for discussion about system vulnerabilities that organizations may know nothing about and that is the modern day organized crime. How has the Internet increased our vulnerability to criminal activities? Description: 3:47 minutes. Cyber crime is pervasiveness, and it is one of the “safest” forms of crime because criminals are invisible. How has the Internet increased our vulnerability to criminal activities? Has overall criminal activities increased or just assumed a new perspective?